This past Saturday Alexandria and I had a mommy-daughter day and it was awesome. We attended the pink carpet screening of the yet-to-be-released Barbie: A Mermaid Tale. (It was available three days after the screening.) 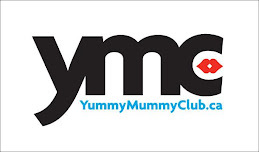 The event was put on by the fabulous YummyMummyClub.ca, which is run by the awesometastic Erica Ehm. We arrived at the theatre and joined the line of excited little girls and boys and walked the pink carpet. Alexandria was hoping there would be a dolphin in the movie. Not only was there a dolphin, there was a PINK, SPARKLY dolphin!! She got to meet Barbie! But even better than that was a complimentary kids' combo with a Kinder Surprise egg. Just what she wanted! After the blast we had a the screening, Alex and I went and toured the grand prize home for the Princess Margaret Hospital Lottery - worth over $3 million! The house is obviously amazing. Alex wants to live there. Can't imagine having to clean it, though! That's the master CLOSET that Alex is sitting in, by the way! I'm in love. And this? That's one of the TWO toilets in that bathroom. It has TWO showers, a bathtub, two sinks, TWO toilets, a urinal and a bidet. The princess decends the grand staircase. The double-sided fireplace in the main foyer and into the dining area. Alexandria's favourite part, though? The unfinished basement. It was (obviously) huge. She could just picture what could be done with it. A whole village a la the London Children's Museum, she thought. She was running around down there and yelled, "Woo hoo!" A guy walked by and said, "That's exactly how I feel, too." And that pretty much sums up how I felt that day. A great, GREAT date with my baby girl.